In recent years, the human resource function in organizationshas undergone many changes, from the recruitment processes to employee retention efforts and performance management systems. 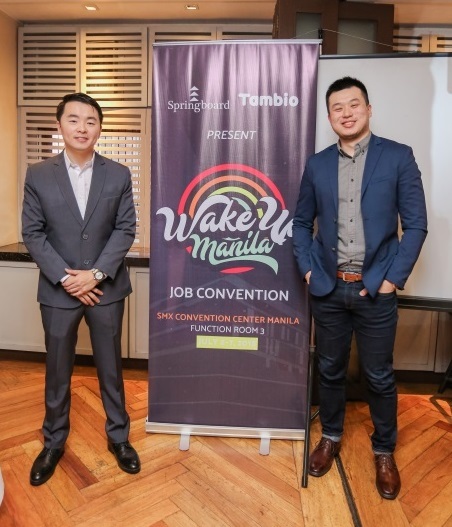 Yet even though technology has been beneficial to the recruitment process, Jake Go says, “These online job platforms are useful in the recruitment process;Springboard adds value to them by incorporating the human component.” He and his business partner Tristan Ong, COO of Springboard Philippines believe that human connection should not be lost despite the digitization of recruitmentbut instead evolve with it. They believe that this is what makes Springboard successful as they provide value to the people and society. In their recruitment process, Springboard Philippines have Human Resource Executives who conduct psychometric exams to determine level of commitment,intelligence, and cognitive ability, along with their long term suitability for the job role. This recruitment process leads to a 30-50% employment hit rate, a number of loyal clients since their first year, and a fast applicant replacement turnaround rate. “What we promise you are quality candidates that are going to come in. We guarantee you that around 70% of the candidates who will come in are going to be interested in getting a job,”Go shared.